Take today’s wedding cake as an example. 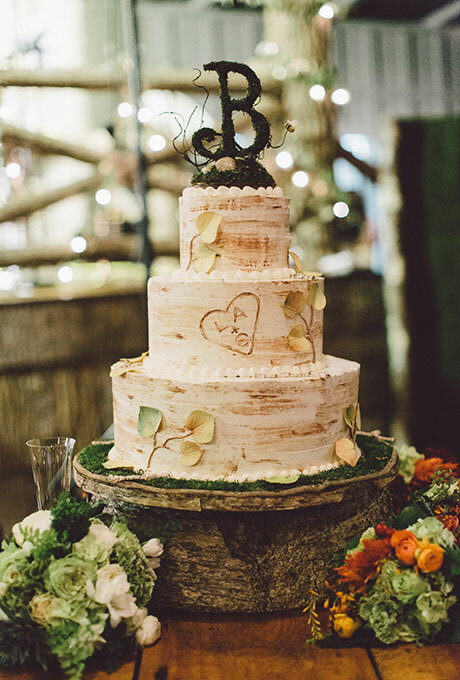 This tree-inspired cake would be perfect at your fall wedding, especially if you’re hosting a rustic party. 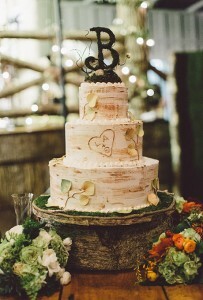 The three-tiered cake really looks like a tree – a very elegant tree. But still, a tree. The icing gives it a nice rustic vibe. And the “carving” of the couple’s initials in the icing is the perfect touch. You could even add a pop of color with a fresh floral cake topper. You can find this cake here. It was created by Christina Banner Cakes.